With each progressing year, we find ourselves developing more self–awareness and self–confidence, gain more experiences, and become wiser. That’s the gift of the New Year. 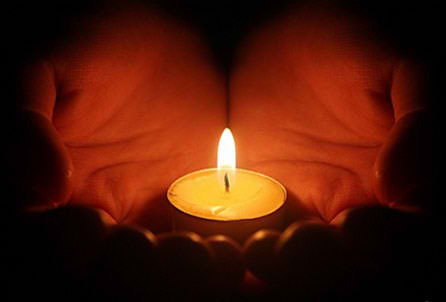 Let’s light the candle, fold our hands together, sit quietly, close our eyes, fix the mind on the light of candle, and thank and pray together to God for His Courage and Guidanceto live pious and happy life.